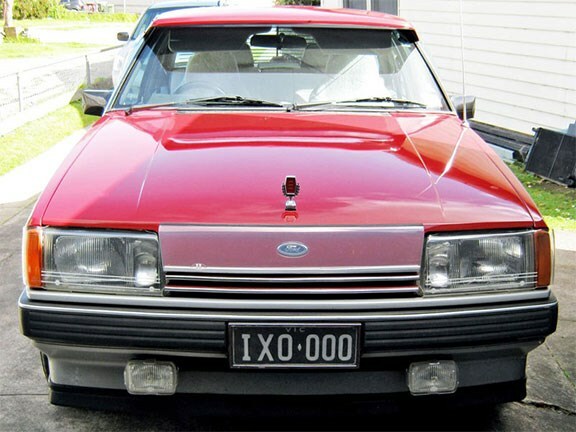 The XE Ford Falcon was the second iteration of the fourth generation of Falcon, and was produced between March 1982 and October 1984. Replacing the outgoing XD, the XE was essentially an update that consisted mostly of styling tweaks such as a new nose, rear bumper and tail lights. However, there was a fairly significant change made to the car’s chassis, as the XE sedan did away with the rear semi-elliptical leaf springs suspension set-up employed in the XD in favour of a new four-link suspension set-up that utilised rear coil springs, although XE wagons, utes and vans retained the old suspension set-up. Engines that could be had with the XE included a 3.3lt inline-six, 4.1lt inline-six, 4.9lt Cleveland V8 and a 5.8lt V8. Power from these drivetrains was sent to the rear wheels via a number of different gearboxes; a three-speed column-shift manual, four-speed floor-shift manual, five-speed floor-shift manual and a three-speed automatic transmission. Body styles for the XE were a four-door sedan, four-door wagon, two-door ute and a two-door panel van. Furthermore, the XE was offered to consumers in different levels of specification such as the regular Falcon, Falcon GL, Falcon S, Fairmont and Fairmont Ghia. The Fairmont and Fairmont Ghia were the two top-of-the-range models for the XE Falcon, and came with a plethora of gear as standard. This particular XE is an ’84 Fairmont Ghia with the 4.1lt inline-six and three-speed automatic box and, according to the seller, it has travelled 192,960 kilometres from new. The seller adds that the vehicle is a two owner vehicle and has been well maintained and driven sparingly. The Fairmont Ghia is $14,000 and anyone keen on this clean looking Aussie classic can view the full listing here.